In Volume 3: Wanderin’ in the Desert [Leviticus, Numbers & Deuteronomy], you will finish learning about the Pentateuch – the first 5 books of the Bible! Learn all about the wacky rules in Leviticus, and Moses gives his final speech to the Israelites before they enter the Promised Land without him. Volume 3 contains 4 weeks of lessons. 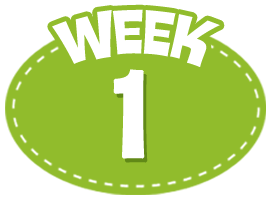 Week 1: The children will learn about the third book of the Bible – Leviticus, and hear stories about the holiness of the Israelites. 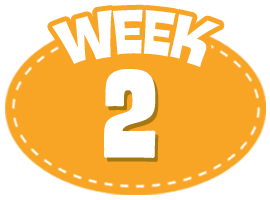 Week 2: The children will learn about the Rules of Leviticus, and learn the definitions of ritual and ethical rules. 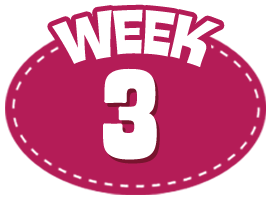 Week 3: The children will hear stories from the books of Numbers and Deuteronomy. 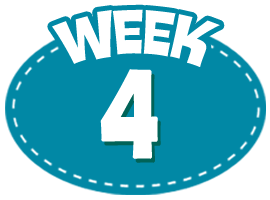 Week 4: The children will hear stories from Deuteronomy and review stories from the first five books of the Bible. Video 1 Welcome Welcome Video: Buck Denver introduces his new stage manager, Marcy, in this fun welcome video. Small Group 1 Relationship Building Each child has the chance to work with a partner and fill in his/her own news cue card. Video 2 Learn: Holiness Custom video that introduces the concept of holiness. Small Group 2 Holy or Hole Tactile game involves using play dough to help answer questions about holiness. Video 3 Learn: The Book of Leviticus Video that covers the rules in Leviticus, and the difference between ritual and ethical laws. Small Group 3 Leviticus Level Puzzle game where children answer question to receive pieces of the puzzle. Video 1 Welcome Custome Welcome Video: Buck Denver explains why lighting is so important for his news room! Small Group 1 Relationship Building Each child has the opportunity to deliver his/her own news using words related to light. Video 2 Review: Leviticus Review! Video reviews the lessons learned last week about Leviticus. Small Group 2 Flair for Rules Q&A game reviews the book of Leviticus and it's crazy rules. Video 3 Learn: Wacky Rules This video explains the two different types of laws in Leviticus - ritual and ethical. Small Group 3 Wacky Tacky Toe Tic-tack-toe style game reviews the laws in Leviticus. Small Group 4 Bible What's It? and Recap Review Time! Review the day's lessons, and reflect and pray before ending class. Video 1 Welcome Custom Welcome Video: Buck Denver explains why scripts are so important for him as a man of news. Small Group 1 Relationship Building Write your story! Each child has the chance to write his/her own script and share it with his/her small group. Video 2 Learn: Numbers Fun video that teaches all about the book of Numbers. Small Group 2 Truth or Time Out Active game that has kids jump up and down as they answer questions about Numbers. Video 3 Learn: Deuteronomy This video teaches about the book of Deuteronomy. Small Group 3 Doodle Dooberly Creative art/drawing game that has kids answer questions about Deuteronomy by drawing their answers. Small Group 4 Bible What's It? and Recap Review! time to review the day's lessons, and reflect and pray before ending class. Video 1 Welcome Custom Welcome Video: Buck Denver delivers some fun news to everyone! Small Group 1 Relationship Building Each child has the opportunity to act out the news from his/her life this week. Video 2 Learn: Tricky Bits with Phil Custom Phil Vischer Video: Phil explains why the punishment for breaking rules was death - and what God did to rescue us all from the punishment for our sins! Small Group 2 Chuck Waggin Hockey Get Moving! Active game where kids answer questions and take turns playing "hockey" with a ruler and checker game piece. Video 3 Learn: Deuteronomy This video finishes the stories of Deuteronomy and reviews the Pentateuch. Small Group 3 Pentateuch Five Fun Board Game: this game involves answering questions to move pieces around a game board.